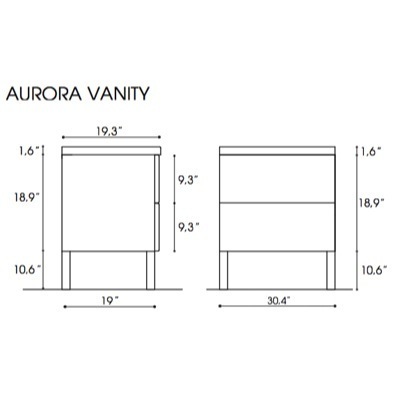 You'll get plenty of storage and a medium footprint with this luxe vanity set from Italy. It comes in waterproof Wenge or Gray Oak finishes. A full, raised sink still gives you counter space for your toiletries. 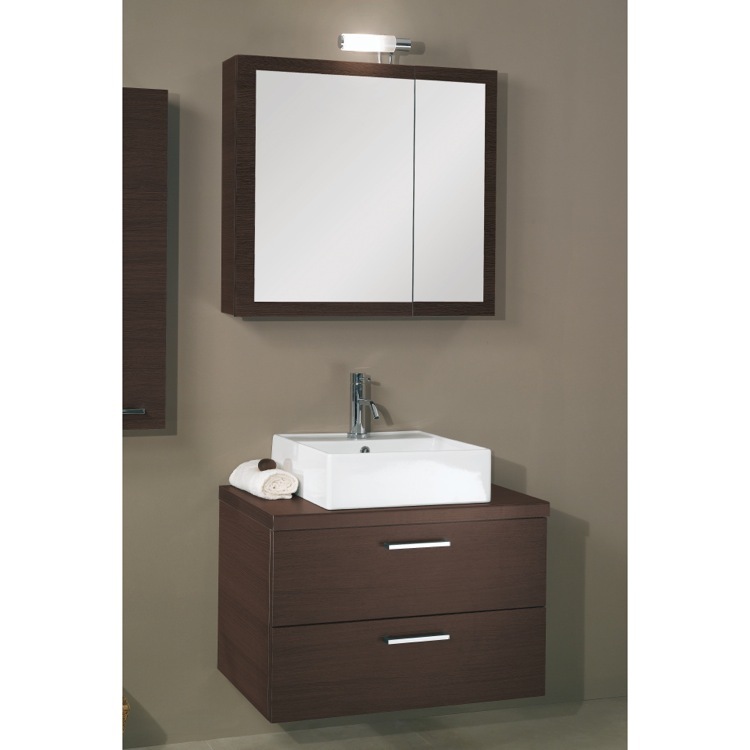 Wide, double drawers have polished chrome handles and soft close runners for low noise and long life. The medicine cabinet holds two shelves behind offset, mirrored double doors that resist scratches and corrosion. 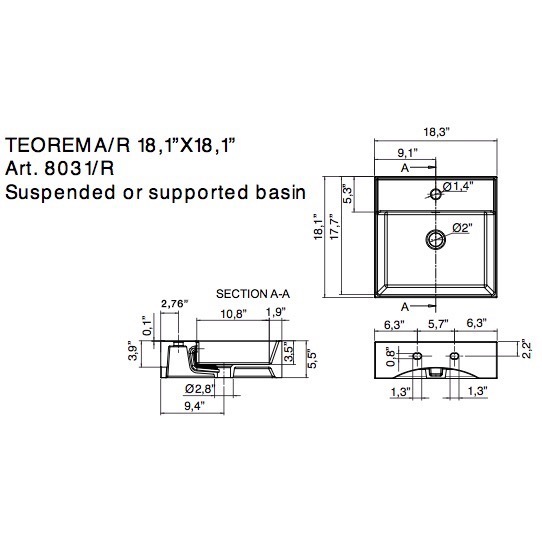 Basin Depth: 3.5" Overall Length: 18.1" Overall Width: 18.1"